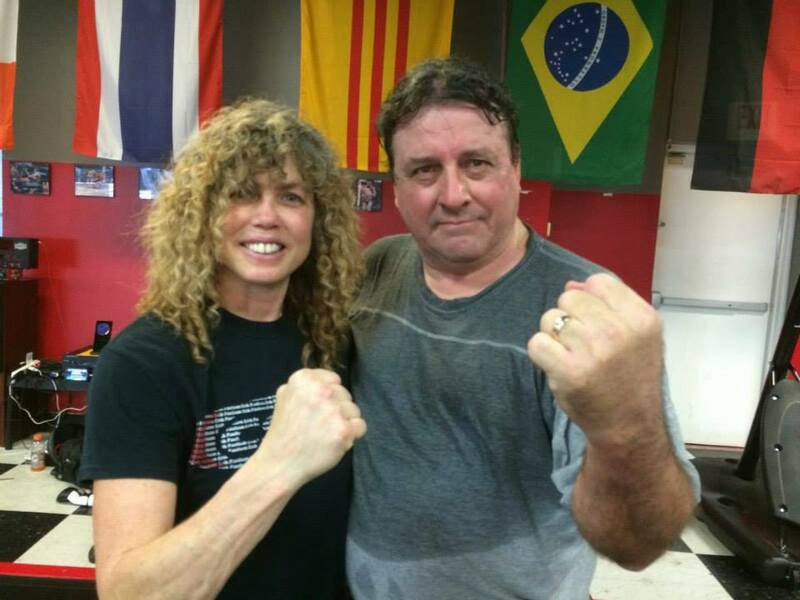 Kathy Long is a 5x world kickboxing champion and a very respected figure of the sport. At 51 years of age, she’s showing no signs of slowing down, and has actively wanted to compete in MMA for years, long before women’s MMA was introduced into the UFC. Kathy Long was winning world titles when Ronda Rousey was still playing Pokemon, but that doesn’t stop her from wanting to test her skills against the world’s best. You may remember her as a color commentator at UFC 1, or from one of her numerous film appearances. 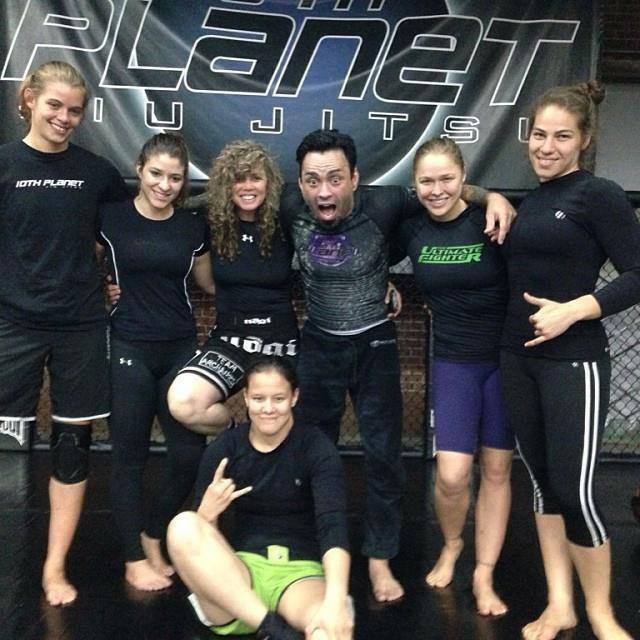 Kathy hanging out with Eddie Bravo, Ronda, and her gang. Long has been campaigning for a fight in Invicta for years, she’s trained with Gene Lebell and works on her BJJ at Eddie Bravo’s 10th Planet Jiu Jitsu, so she has a ground game and obviously her striking is on point with a 18-1 professional kickboxing record (That’s the official number, but according to Kathy it’s more like 35-1-1, and who are we to argue?). UFC vet Josh Barnett is her acting-manager who’s trying to help her find somebody to fight. Long has had one MMA bout all the way back in 2009, but she wants more. 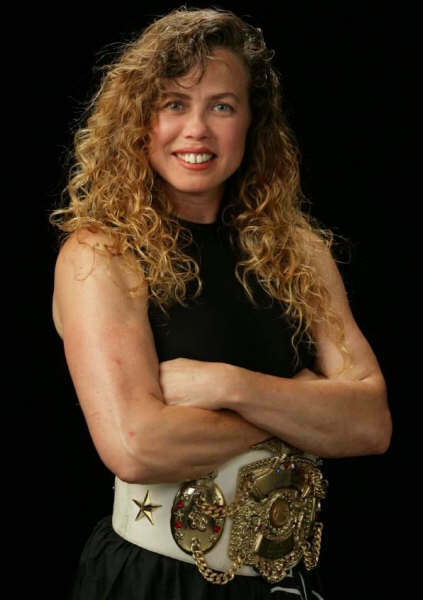 She’s been practicing brazilian jiu jitsu since UFC 1 took place, and although she’s 51 years of age she could more than likely give some of the girls a run for their money in the UFC’s relatively shallow women’s divisions. She was Michelle Pfeiffer’s stunt-double as Catwomen in Batman Returns circa 1992. Kathy Long was acting in films long before Ronda was Furious or Expendable, too. There’s no telling how much of a household name she’d be if she got her start when women’s combat sports were more established, but then she wouldn’t have been there to blaze the trails. In 1992 she worked as a stuntwoman on Batman Returns, she was in Natural Born Killers, Walker Texas Ranger, and more. She credits Gina Carano for breaking open the doors for women’s MMA, but she should give herself a pat on the back as well. According to Josh Barnett, one of the biggest challenges in finding an opponent for Kathy is that she’s ahead of most other fighters that are 1-0 or 2-0 skill and experience wise, and most promoters would rather use her to build the name of one of their up-and-comers rather than putting on a fair, even-matched bout. Click over to the next page if you want to see Kathy Long in action.